Large strata 1 br in a unique 1929 heritage style building. SE corner, kitchen w/dining rm & french doors, large living rm, old style hot wtr radiators, large br w/deswk area, big bthrm & laminate. Suite is older but well-maintained! Pro-active strata : vinyl windows, roof '06, drain tiles '09, high-efficiency boiler system '13. Maintenance fee includes: heat, ht wtr & free shared laundry across the hall, locker, bike rm, 4 open common parking & street parking. 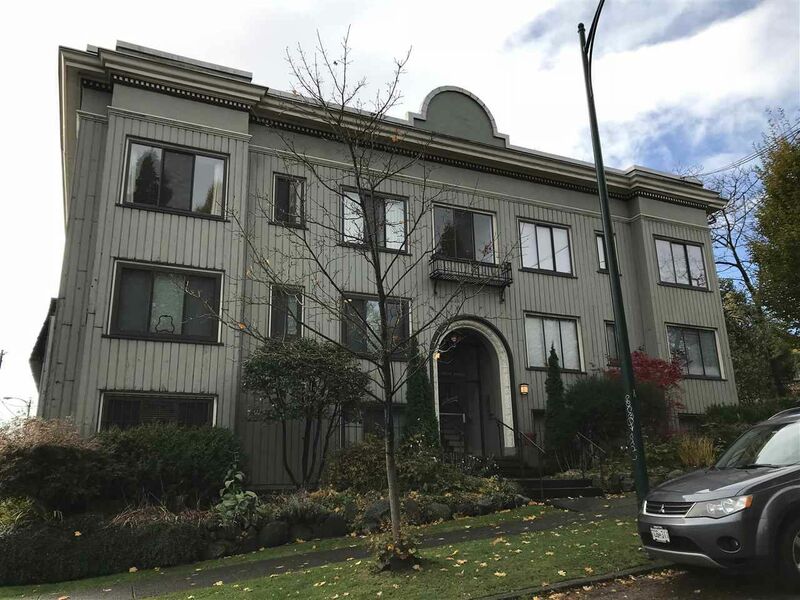 Cool 10 unit old-style walk-up in 1st Shaughnessy location off Oak St! No rentals, pets w/approval. 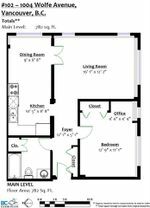 BC Floor Plans shows 782 sq ft & Strata Plan shows 755 sq ft.